Wake Up! And Smell Your Business Burning! Tips on Everything. – What do I know? How to raise your FICO score from #600 or less to #775. I wrote in the previous blog about my experience and situation with going bankrupt, and how that transpired. Now, I am going to share with you my tips on raising your credit score after running into adversities. It comes from the book I wrote, “Wake Up! 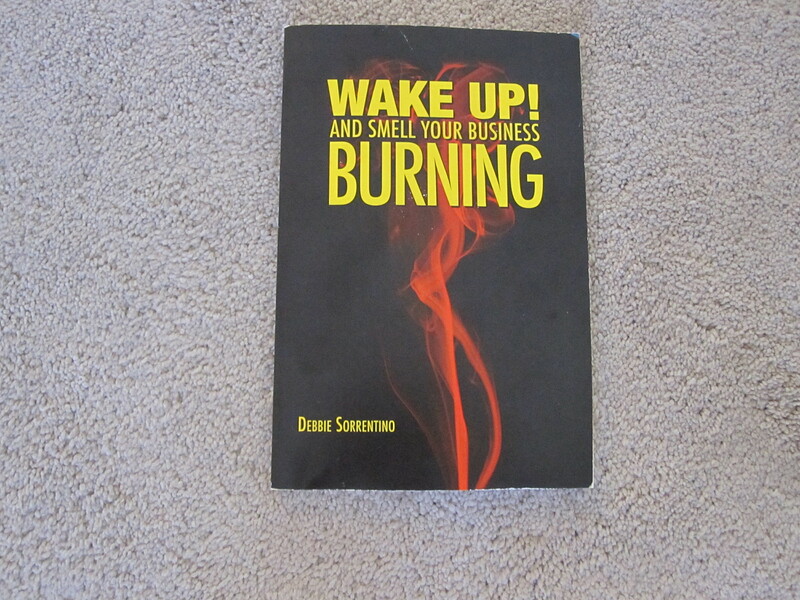 And Smell Your Business Burning!” I wrote this one in 2008 during the downfall of the housing market. There are many tips for your business and home “money matters.” I will give you my incidents as they occurred, and you will get tried and true tips. Let’s get started. It is difficult to explain to an audience of readers of all types, and hope to reach them all without confusion, but I am going to try. No worries you can always ask me questions and I will get back to you. It must be a stand up file. You will appreciate this handy tool. If you had a hardship, as most of us do, that lowered your credit score considerably or you have been languishing in a low FICO score, now is the time to change that! Most and I mean most! people do not understand their score and how important it is. It is extremely important to keep it high. 2. So, the next thing you need is a checking account. any kind will do. Some of you already possess one, if not , procure one.This is vital to the end result. now, you need to put in a minimal amount of money. Or maybe you already have a sum that is slated for groceries. Leave it right where it is. Since it is imperative to follow all the steps of this tip, wait until you can afford to put money away for groceries. You cannot do it without all the pieces. 3. Now, one of those credit cards that advertise for help raising your credit. They are always have ads everywhere. Make sure you have a decent credit cap. $100.00 is enough.There might be Credit cards that work differently. If they do not ask for money, don’t offer. Any kind will do. Now you are ready to raise your credit score, and possibly your limit. If your credit card has rewards, you are fortunate, because that is unexpected cash back. Let me ask you something. When you go to the grocery store, how do you pay for it? Everyone eats, so I picked the easiest purchase. If you use cash, start a checking account with it. Be careful, your mind can play tricks on you. If you have this money in the bank, you might use it. Be diligent. I started with $200.00. What you are going to do next is pay with your credit card at the grocery store. Important: When you get home ,take that receipt and make out a check to your credit card company and deduct it from your checking account. Let’s say you went to the grocery store on 8/5. This is the way it should look. Now keep in mind that this is only the first step. Deduct that amount from checkbook, in which the money was there for your groceries anyway. Do not use a debit. The next immediate thing you should do is put it in the 1st of the month. So you will put it in #1. All checks will go there until the bill comes in. This check will be cashed when you send it in. NO TOUCHING! We are just using a different method to pay your grocery bill. Now, this is foolproof! Unless you are the fool that uses that money. Remember, you got in this position for a reason. Nevertheless, you paid your grocery bill with your “visa” (see above) and deducted it from the checking account . Then the check you make out to the credit company you used and put it in the first of the month to recap. Then you get the statement in the mail for that credit card you used and owe $56.98. No worries, it will be waiting for you in the tickler file under #1. Subsequently, you will take out that check, and the due date, let’s say Aug 22nd. After you make out the stub and put a stamp on the envelope, go to your checkbook and find that written check and when you find it, jot down the week prior to the due date on the checkbook and circle it. That due date minus a week is the 15th and put it that part of the file. You need to check this file every day. This file corresponds to everyday of any given month. So, no matter what month you are in, it will be beneficial as follows; Any bills, reminders, appointments, the to-do list, Bills like electric, rent, mortgage phone, cable, loans, credit cards, etc. These transpire monthly, due on the same day each month, so tracking them will be easy. Make these bills a priority and drop the notes, reminders, what to do lists, etc. in the file for the day you need it in any given month. Remember to use that one week prior for bills, and mark your check book. This is just for bills that have a deadline, in fact anything that has a deadline. The reminders go in the day you need to remind yourself, maybe to call someone. Prioritize! This file is a fail-safe method for putting at least part of your life in order. Be consistent, however, you are only using the credit card for groceries right now. It is very simple, really. After you do it. Believe it! Previous Previous post: Money $ Tips that will blow your mind.